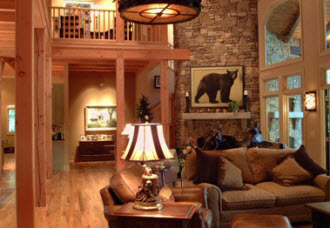 For over 30 years, Lynn Kimball has specialized in signature properties in the Highlands and Cashiers areas of Western North Carolina. The real estate choices here are endless; whether you are looking for a rustic mountain retreat, luxury estate home, golf and country club property, quaint cottage, or maintenance-free condo, Lynn can find the perfect signature property for you. As a broker with Berkshire Hathaway Home Services Meadows Mountain Realty, let Lynn use her expertise and dedication to help you discover the unique mountain charm that is Highlands and Cashiers. Take a tour of Highlands and Cashiers! Steeped in history, Highlands offers a rare combination of scenic beauty, ideal climate, and a variety of outdoor recreational activities, all with a charming blend of cultural amenities, fine dining, specialty shops, and choice accommodations. Perhaps the greatest natural asset found in Highlands is the warm and welcoming spirit of its people. Take the virtual tour to find out if this is the pace, and the place, you've been looking for! 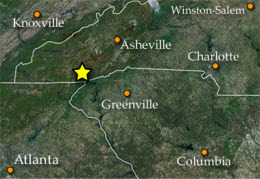 Explore the Mountains of Western NC! 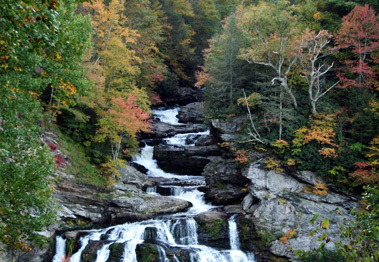 The Highlands-Cashiers area has much to offer. There are panoramic mountain views, waterfalls, lakes and streams, rolling hills, pasture land, or simply the beauty of a wooded forest. The many outdoor activities include golf and country clubs, tennis, nature tours, hiking, fishing, whitewater rafting, repelling and snow skiing. Visit our Recreation and Outdoor Activities section for more detailed information! 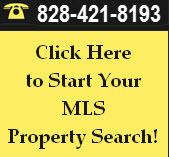 Contact us today to receive a buyers guide, or simply start your MLS property search here. 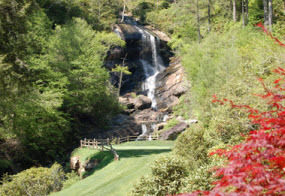 For golfers and tennis buffs, there are five private country clubs within close proximity of Downtown Highlands and several more near Cashiers and Sapphire. These communities feature lush mountain golf courses, clubhouses for social activities, private dining, tennis, and fitness centers. If you choose to live in the beauty and privacy a club community without indulging in the activities, most do not require club membership. Others offer membership even if you live elsewhere. Click here for more information. 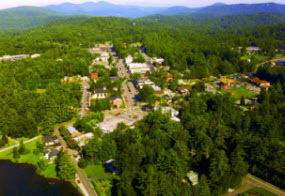 At the southern tip of the Blue Ridge Mountains lie the communities of Highlands and Cashiers, North Carolina. A short two-hour drive from Atlanta, GA, Asheville, NC, or Greenville, SC, the journey makes its way through lush forests and magnificent mountain scenery.